Welcome to Jurassic Park of Indira Gandhi vintage, courtesy Narendra Modi and Arun Jaitley. [dropcap color=”#008040″ boxed=”yes” boxed_radius=”8px” class=”” id=””]T[/dropcap]he new goods and services tax (GST) regime, we are told, will be a boon for the economy; it would benefit consumers as prices would be down and also be good for the economy which would get a boost. The beginning, however, doesn’t present a rosy scenario. Quite apart from the teething troubles, there is the issue of profiteering—the quintessential socialist concept that occupied the minds of policy makers and politicians in the 1970s and 1980s. A veritable bee in their bonnet. Now the bee is being genetically engineered. Welcome to Jurassic Park of Indira Gandhi vintage, courtesy Narendra Modi and Arun Jaitley. The GST Act says, “Any reduction in the rate of tax on any supply of goods or services or the benefit of input tax credit shall be passed on to the recipient by way of commensurate reduction in prices.” Otherwise, the National Anti-Profiteering Authority (Napa) will act against them. The penalties range from fines to the shutting down of the enterprise. [dropcap color=”#008040″ boxed=”yes” boxed_radius=”8px” class=”” id=””]W[/dropcap]ell, gentlemen, liberal democracy is premised upon the rule of law, not on hopes; and if any legal provision is stupid and nebulous, as Napa surely is, the consequences would be unpleasant. The truth is that the very concept of profiteering and Napa is stupid and nebulous. To begin with, a business enterprise can always be accused of sharp practice when it comes to the profits it makes. If it charges more than the competition, it can be, and is, accused of fleecing the consumer. If it charges the same as the competition does, it would be, along with the rivals, be accused of indulging in cartelization. If it asks for less than what its rivals do, it would be charged with predatory pricing. Further, what is the ‘fair price’ of a good or service? For instance, IHS Markit said in September last year it costs Apple £174 to make an iPhone 7, whereas that UK customers pay £599 for it—that is, a profit of £425. IHS Markit is a London-based company that advises leaders in business, government, and finance to help them make well-informed decisions. Unsurprisingly, Apple’s chief executive Tim Cook doesn’t agree with IHS numbers. “Generally, cost breakdowns that come out around our products […] are much different than the reality. I’ve never seen one that is anywhere close to being accurate,” Cook had said the previous year. It is impossible for any government to find the fair prices of millions of products and services offered by millions of companies. I am quite sure that if the chief executive of a company pocketing such huge margins can dispute the accusation of profiteering, so can our corporate tycoons. The long and the short of it is that prices are, and should be, determined by the market not government. It was market forces, primarily competition, that the mobile phone tariffs are so low today, much lower than Rs 32 per minute 20 years ago. Governments in India are unable to carry out their basic duties such as administration and law and order, and yet they want to take the onerous responsibility of determining fair prices of zillions of goods and services. In fact, it is impossible for any government to find the fair prices of millions of products and services offered by millions of companies. Quite apart from giving the lie to the Modi regime’s pledge to enhance the ease of doing business, Napa also makes a mockery of its slogan Maximum Governance-Minimum Government. Napa clearly increases the size and scope of government. In a most obnoxious manner, for it threatens to trigger another inspector raj. 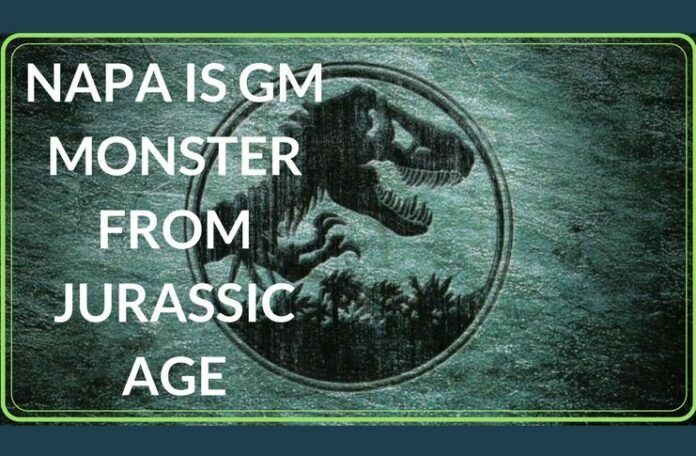 A number of monsters of the socialist era are likely to come into being in the Modi-sponsored Jurassic Park. Thank you sir for a gr8 article.